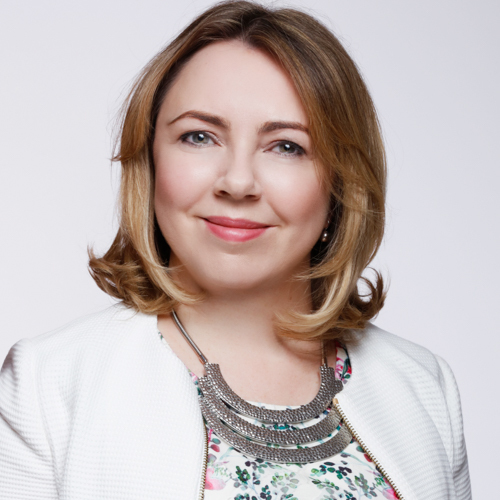 Andrea Dunlop, CEO of acquiring and card solutions at Paysafe Group, talks to FinTech Futures about how she started her career and offers advice to other women aspiring to be in leadership positions in an industry historically dominated by men. My career started out in the military – I spent over ten years working in communications for the RAF. When I decided it was time to leave and enter the world of business, I was able to use my technology experience to become a project manager, and I ended up working for Mastercard in that capacity. I’ve worked in fintech ever since, for over 15 years now, in consultancy roles before I joined the leadership team at Paysafe. The rapidly-changing nature of the fintech industry means there’s never a dull day. When and how were you offered a position on the executive team? Becoming a member of the Paysafe executive team was really thanks to two things; the outcome of establishing the acquiring and issuing businesses in Europe, and to two Canadian entrepreneurs – Joel Leonoff and Danny Chazonoff – our group CEO and COO respectively, who saw something in me and valued my ability to get things done. In many companies, people that focus on delivery are rarely elevated so being offered a position on the executive team because of this was very rewarding. As part of my role I also sit on the Paysafe Limited Board, which is where the acquiring business which is regulated by the FCA legally falls. Have you witnessed a lack of gender diversity in this sector generally? Throughout my career there have been many examples of inequality; that doesn’t go away just because I am in a more senior role. I hear so much from so many women across the industry about gender inequality, not to mention other diversity issues which also suffer inequality in the city. As leading women in business, we need to stand up for ourselves and every other woman in our organisation to ensure we have the same opportunities as men. It’s not easy and we need to take courage and lead with spirit. Those of us fortunate enough to be in senior positions have to learn our own craft, to know ourselves, and to be all that we can be, and then in knowing we have our own courage, we can help others. If we are brave to do that then together we can lead an army of women on the same journey, helping them to develop themselves and take their own courage, in learning from inspiring leaders. What has been the achievement you’re most proud of in your career so far? I think the work I now do in Industry leadership is where I am most proud as I can use all my years of experience to move the payments industry forward. To do this I’m a director on a number of industry boards including the Emerging Payments Association where I’m the first female chairperson. One of my key platforms is to raise awareness of the barriers to entry so that new players can come into the industry and compete in a fair and level playing field. What do you think are the main obstacles women face in this industry, and how would you advise them to overcome those obstacles? I think there are a number of well-known barriers for women: management culture and poor practice is a key factor. There are also issues with recruitment via male dominated networks, and roles often being allocated on a “who you know basis”, rather than merit. In addition, there’s a lack of flexible working, and few female role models and leaders that have broken the glass ceiling to inspire women who are earlier in their career path. But if I was to pick the main one for me, it’s self-worth – I think we are often our own barrier. With that in mind, my main piece of advice would be to step forward – don’t sit back and think that the next role will come to you just because you did a good job. It won’t. Recognise your worth and ability, use that to foster your self-worth, and actively seek out opportunities. What has been the best piece of advice given to you in your career? I was once told “surround yourself with stars and empower them to achieve their potential”. I try to stay true to this advice every day. A study was released this year by management consultants, McKinsey, that suggested there was a correlation between diversity and financial performance. Is this something you would agree with, from experience? I wholeheartedly believe in the benefits of diversity in organisations at all levels. Females make up a large proportion of the workforce and it makes sense to have a fair representation of females at every level in an organisation. The same applies for other minorities, which studies have indicated lead to an improved performance on corporate and social governance metrics. The benefit of diversity is that it helps to bring different points of view, which helps with better, more balanced decision-making, something that is imperative at board level. What are your tips for other women who want to start a career in Fintech or other areas of business? Stay true to yourself and be authentic. Don’t try to be something you think you should be, trust in yourself and your own instincts. I would also encourage other women to think bigger than their immediate surroundings and take more risks – doing both things can widen your horizons and boost your career progression. Andrea Dunlop, CEO of acquiring and card solutions at Paysafe Group, has over 16 years’ experience working for some of the largest financial services companies in the world. She joined Paysafe Group in 2013 as a consultant to work on a number of initiatives, including securing its principle membership of card schemes with Visa and Mastercard. Prior to joining Paysafe, Andrea worked as a consultant at Experian, Mastercard, RBSG, Barclaycard, Capital One and Visa in a variety of technical and business roles. In addition to her “day job”, Andrea, an FCA-approved director, is also chair of the Emerging Payments Association’s advisory board, has been voted number one in the 2016 Payments’ Power 10, and was named Payments Pioneer at the 2017 UK Payment Awards. An ideal domain for the problem-solving and relationship-building skills that distinguish women technologists. Morgan Stanley’s new innovation lab, which aims to support multiculturalism and diversity in financial services, has onboarded five start-ups for its three-month accelerator programme. What do diversity and inclusion really mean? A look at initiatives that help a better work/life balance - and assist women to get to the most senior roles.